Shimmering Radiant Fire and Ice Earrings are stunning and sure to turn heads your way on the Red Carpet! 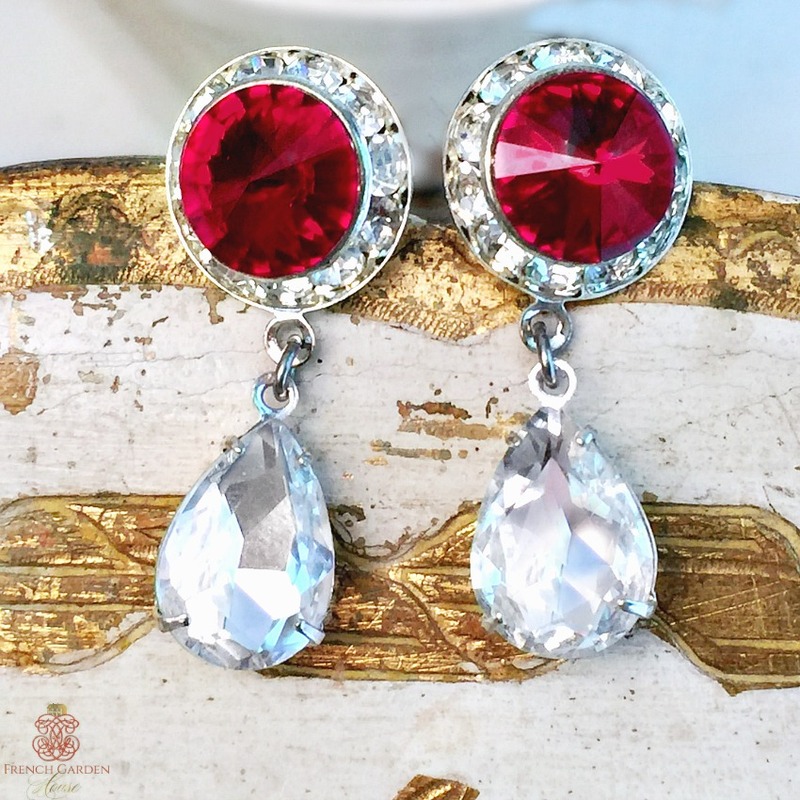 Meticulously hand created by American jewelry designer and artist HKennedy, she combined vintage ruby red rhinestones surrounded by sparkling crystals with vintage crystal clear teardrops. Wow! Classic, elegant, but not understated, these are spectacular. Set on posts, for pierced ears only. Add to your collection or give as a luxurious gift. For those who love to capture hearts, jewelry that makes you shine. For pierced ears only. Measure 1-1/2" l x 1/2"w.